Your facility may see hundreds of patients a day. Keeping track of their appointments, which services they need to receive and ensuring all medications are managed properly is not only a challenge, it comes with great responsibility. As a healthcare facility that not only prescribes but distributes medications to your patients, ensuring you are dealing with the patient they claim to be is not only critical, it protects the clinic from legal liability. Knowing that the patients being serviced are identified correctly and their profile contains all pertinent information, guarantees their patient experience is optimal and that your staff and resources have everything they need to provide these services. Another challenge of many healthcare facilities is fraudulent attempts to receive controlled medications, like opiates. Your front-line staff is well trained on how to spot ‘drug seeking’ behavior and how to manage such visitors by simply turning them away, engaging on-site security or the Police, if need be. Q-Flow® offers a robust solution which not only supports enhanced identification validation at the kiosk or on-line but also can issue facility-wide security alerts to designated resources like Security, Facility Managers/Supervisors, etc. 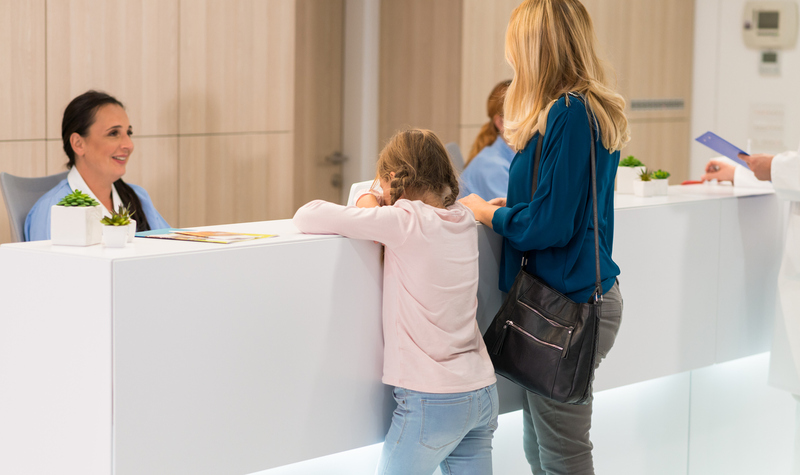 While a majority of your visitors and patients are legitimately receiving essential healthcare services, it is always best to be prepared for those who seek to abuse the system and your services. Q-Flow offers a true web-based, central server solution with a robust API to integrate with multiple data sources for validation purposes. Q-Flow also supports HL7 protocols, ensuring secure integration. Having a unified, omni-channel communications and service management platform will bring measurable, reportable optimization to your facility. ID validation can be done with access to a secure data source via the Q-Flow API which has the patient’s picture and personal details in it. Patients can have a personal, unique login or swipe card to check-in and manage their services. They can then be challenged to supply additional information at the kiosk or via the web portal. If all thresholds are not met, they are directed to a reception desk or called into the facility to be validated by a live service agent. By validating their identification 100%, their profile then becomes the central resource for all clinicians who will see the patient. There will be no misunderstanding or communication gaps in dosing and prescribing medication and treatments. Q-Flow also retains all information and actions in the solution, so managers and supervisors can run detailed reports on all services, volumes and patient metrics. By deploying a centralized solution that can support healthcare facilities of all sizes and service types, you are in control of your services, records and the overall patient experience in a measured and proactive manner.